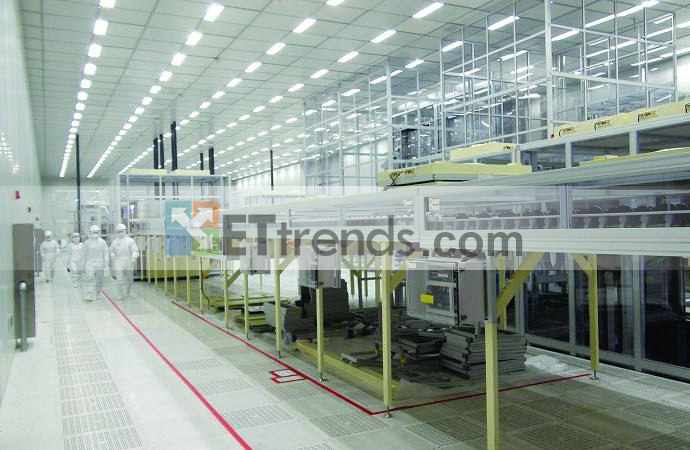 China began step into LCD industry in 1980s and now becomes a LCD manufacturing power in the world. As China is a big production base of TVs, computers and mobile phones, LCD industry transfer into China quickly as an important industry, and this bring a valuable development opportunity to Chinese LCD industry. 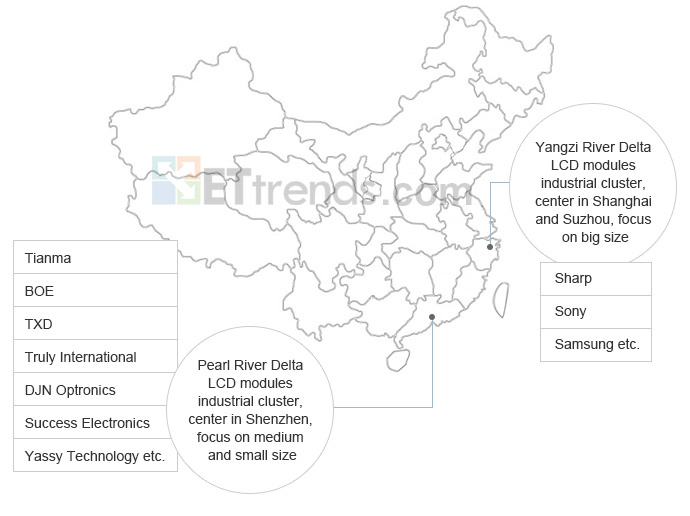 The global division of labor makes China become one of the big production bases of electronics manufacturing in the world and form three industrial clusters which includes Pearl River Delta, Yangtzi River Delta and Bohai Rim. LCD is the core component of most electronics products that impels more and more electronics manufacturers transfer their production lines to China, meanwhile, the production capacity of Chinese LCD grow exponentially in every year. Since 2009 more than 80% LCD is provided by China and south China play an important role of this. At present, there are two LCD module industrial clusters in China, one is Pearl River Delta, which is center in Shenzhen, and the other one is Yangzi River Delta, which is center in Shanghai and Suzhou. In addition, there are LCD modules manufacturers are placed in Beijing, Wuhan, Chengdu and so on. (1) The Pearl River Delta industrial cluster is focus on medium and small size LCD modules which mainly are used in mobile phones, tablets and so on. Based on the development of mobile phone and tablet in Shenzhen, the medium and small size LCD module industry has flourished and expanded in Pearl River Delta region and forms a huge LCD module industrial cluster which covers professional processing equipment manufacture, matching parts processing and final products design & manufacture. As a major LCD module supply center of mobile phones and tablets in the world, it generates a large number of powerful LCD module manufacturers which both have large upstream original factories like Tianma(Shenzhen), BOE and professional production enterprises like TXD, DJN，Success, Yassy and so on. (2) The Yangzi River Delta industrial cluster is focus on big size LCD modules. Most of its enterprises are transnational enterprises and Taiwan-funded enterprises. It not only includes large-scale enterprises like Sharp, Sony, Samsung, Chimei and so on but also includes some Chinese enterprises like Hisense, Irico, Konka and so on.